Microcrystalline Cellulose 101 exhibits excellent properties as an excipient for solid dosage forms. It compacts well under minimum compression pressures, has high binding capability, and creates tablets that are extremely hard, stable, yet disintegrate rapidly. Other advantages include low friability, inherent lubricity, and the highest dilution potential of all binders. These properties make Microcrystalline Cellulose 101 particularly valuable as a filler and binder for formulations prepared for direct compression. Also, it has proven to be stable, safe and physiologically inert. 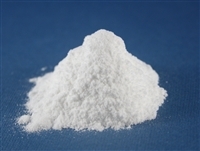 Microcrystalline Cellulose 102 also exhibits excellent properties as an excipient for solid dosage forms. It compacts well, has high binding capability and creates tablets that are hard, stable, yet disintegrate rapidly. It differs from Microcrystalline Cellulose 101 by the size and shape of the particle - MCC102 has larger particles which are more round and dense. It is not as fluffy and light as MCC101, therefore MCC102 has better flow properties than MCC101. MCC102 has proven to be stable, safe and physiologically inert.